These are just some of the words that describe what inspires Penske associates. Our associates believe in doing what it takes to give superb customer service. They strive for continuous improvement. We provide an environment for their talents to bloom and many opportunities for learning, growth and performance-based advancement. See what our associates have to say. A lot of people are looking for a place where they can make a difference. Penske has an atmosphere and a culture that promotes that desire. You can make a contribution and add value in what you do. Penske is about creating value for our customers. 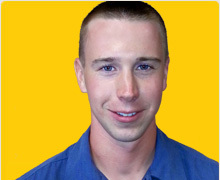 Penske becomes a piece of who you are, not just a job you go to. Cheri began as a mid-level accountant and today is responsible for all the accounting for both Penske Truck Leasing and Penske Logistics. The district manager position is the best job in the company, period—because you work with so many different great people. I've developed really strong relationships with the people I've worked with. It certainly becomes like a family, your home away from home. 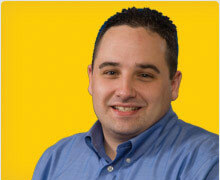 Joe began his career with Penske while still in college working part time in Central Reservations. He then worked his way up in the Rental Department. 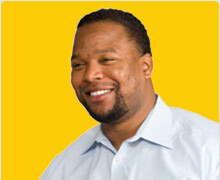 Today, he is a district manager responsible for nine locations, 2,700+ vehicles and 200+ associates. I really feel like I'm helping people in my role. You take a load off your customers’ shoulders by maintaining their vehicles, and they look to you to be their transportation specialist. That's the biggest thing I like about my work at Penske–being able to make their businesses run smoother. From professional football player to branch manager, London started as a management trainee and held various positions in sales before landing his current role. We work like a family. The upper management really keeps us all together and gives us a sense of direction. Obviously, we have agreements and disagreements, but at the end of the day, we come together to meet one objective: to provide the best service to our customers. That's what we're passionate about. Trucks just happen to be the medium by which we provide that service. 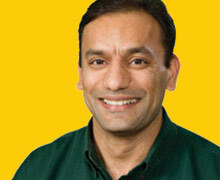 Rohit got his foot in the door after working as an IT consultant for five years. He started as a programmer analyst and progressed through various IT roles before taking on the vice president position. 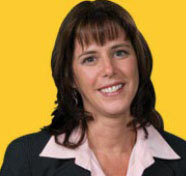 At Penske, we are driven to excel, to succeed, to do the very best that we can for our customers. I practice my passions here: collaborating with others, bringing talented people with diverse backgrounds, cultures, and geographies together to solve customer problems and design solutions. We really strive to make associates feel like their opinions are valued and appreciated. It's very important to us that we all succeed together. It's the culture of the organization. 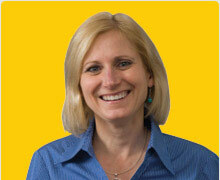 Amy joined Penske 30 years ago as a decision support analyst before becoming a project manager. She was then promoted to director of logistics engineering, followed by vice president of logistics engineering. Penske values their associates. I know people who have been working for the company for 20, 25, even 30 years. They are very loyal to the company – and the company is also very loyal to the associates. Despite the size of the company, it is like a family. People meet on the weekends. We celebrate birthdays together. 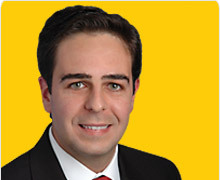 Paulo began his career with Penske as a director of sales. He progressed to senior director of operations before becoming the managing director in 2011 – all while the company grew over three times in size. Penske is a great place to work for many reasons: great pay, excellent benefits package and supportive, encouraging supervisors. A maintenance career is perfect for someone who is willing to learn, is hard-working and enjoys hands-on work. 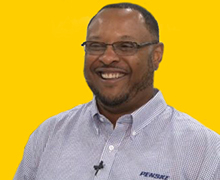 Penske really emphasizes on-the-job learning, which I believe gives technicians a professional advantage. Devon got an early start with Penske, working part time as a customer service representative during his senior year in high school while attending vo-tech for diesel mechanics. After graduation, he progressed through technician III, technician II, technician I and maintenance supervisor positions before being promoted to branch service manager. Penske gave me an opportunity to come on full time, and I felt like it was the greatest move of my life. I became a Smith System trainer. I was also able to further my skills at customer service, being a delivery person and interacting with the general public. Penske allowed me to have some flexibility by enabling me to work at night and have the day to be a part of practice and coach the games for my kids. Earl first gained experience driving oversized vehicles while serving as a tactical operations specialist in the U.S. Army. In total, he has amassed over 32 years of truck driving experience. He is serving as a captain of the American Trucking Associations 2017-2018 America’s Road Team.